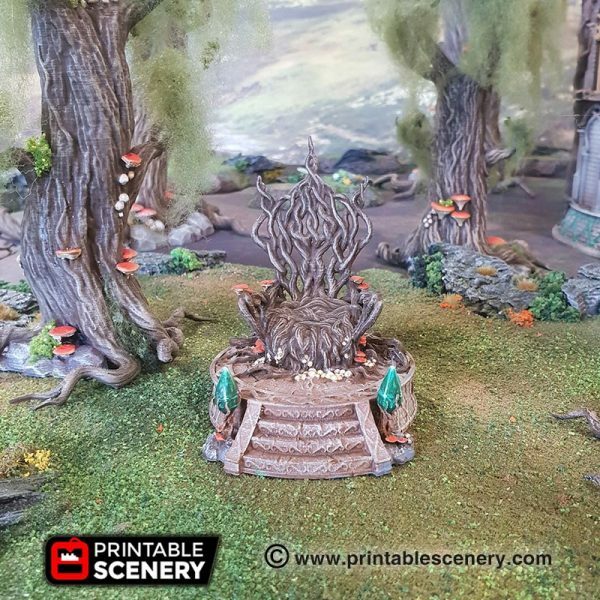 The throne of the great elven king – living branches woven together by elven magic and embedded into a stone pedestal. 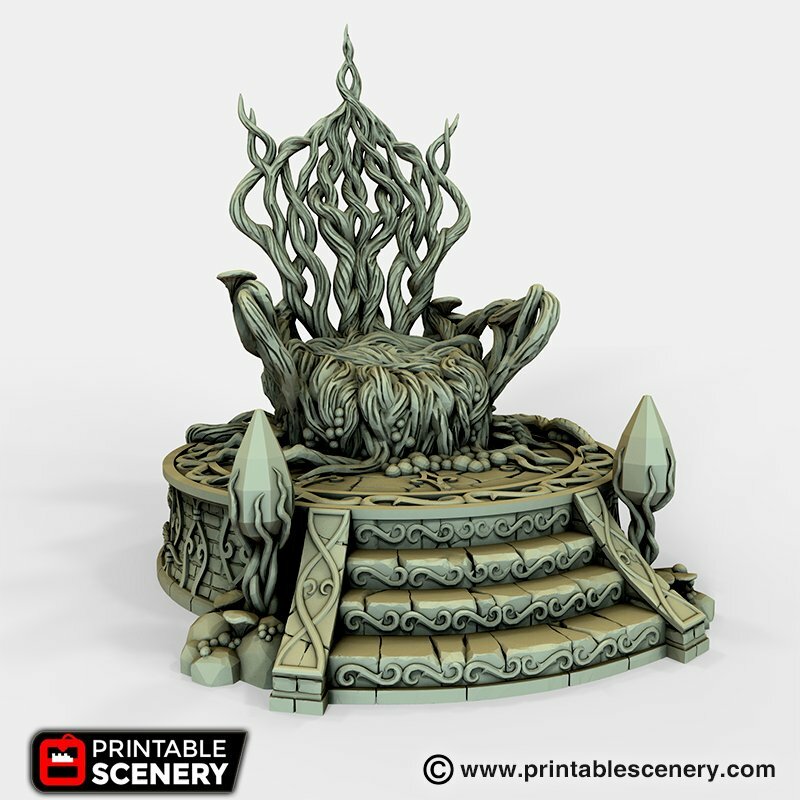 While its intertwining vines and intricate stonework are ornate, the throne is said to be as filled with power as the king himself. 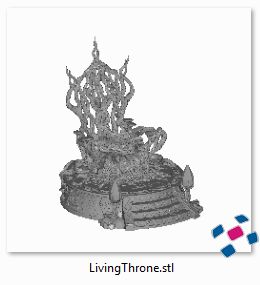 Could it be that it shares his immortality as it does his mighty stature? 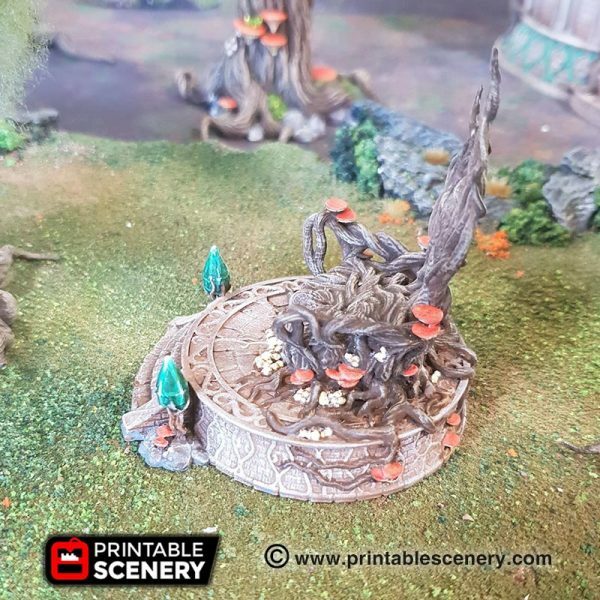 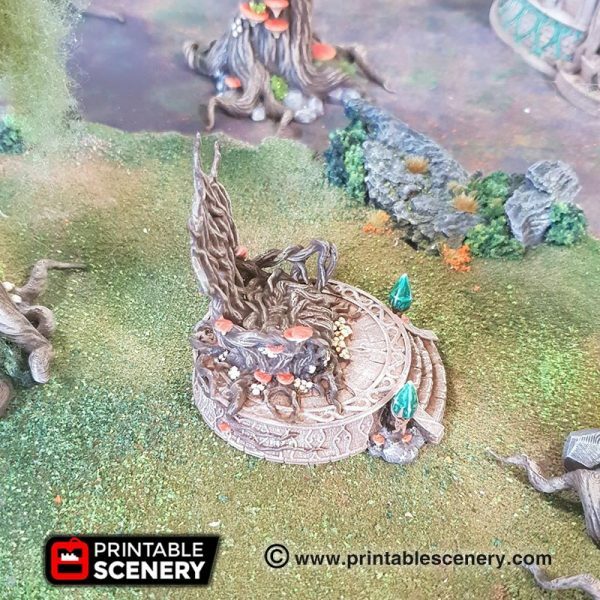 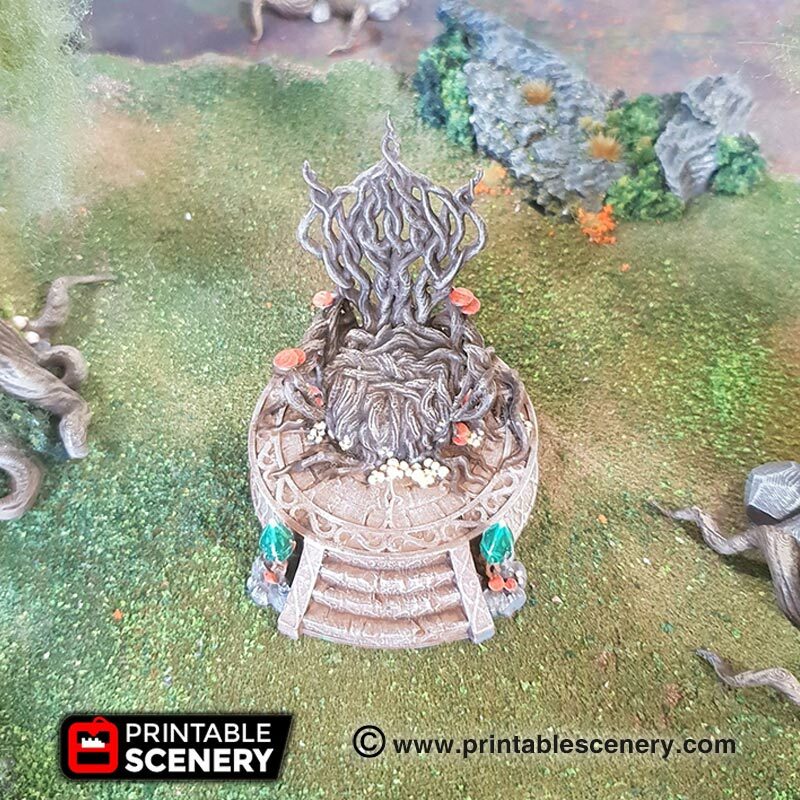 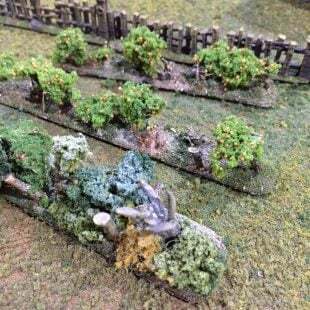 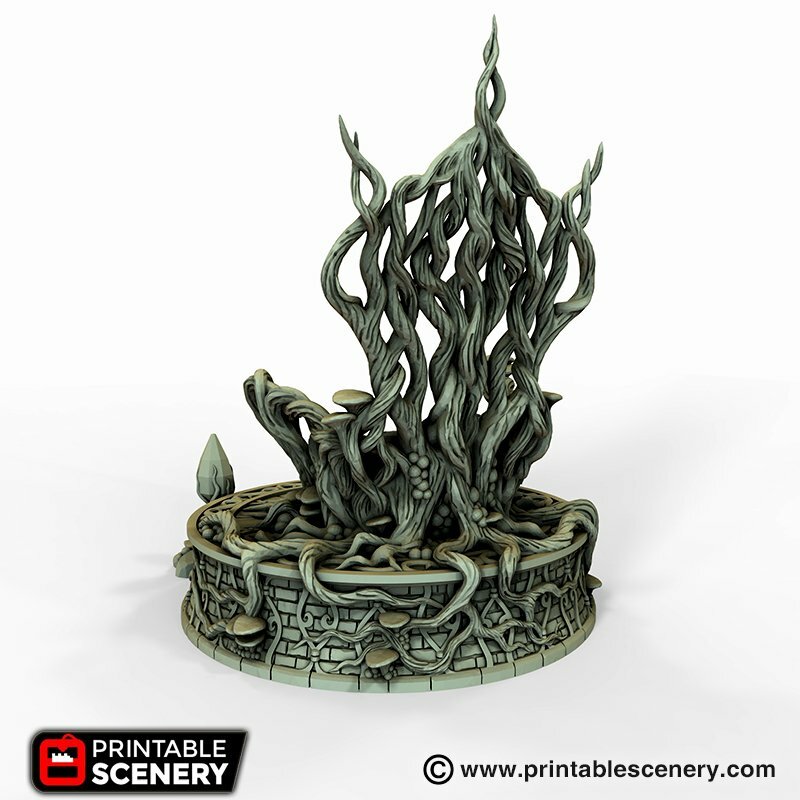 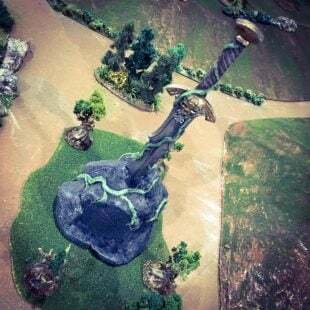 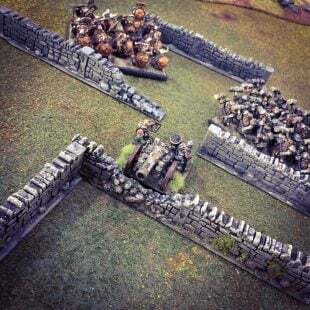 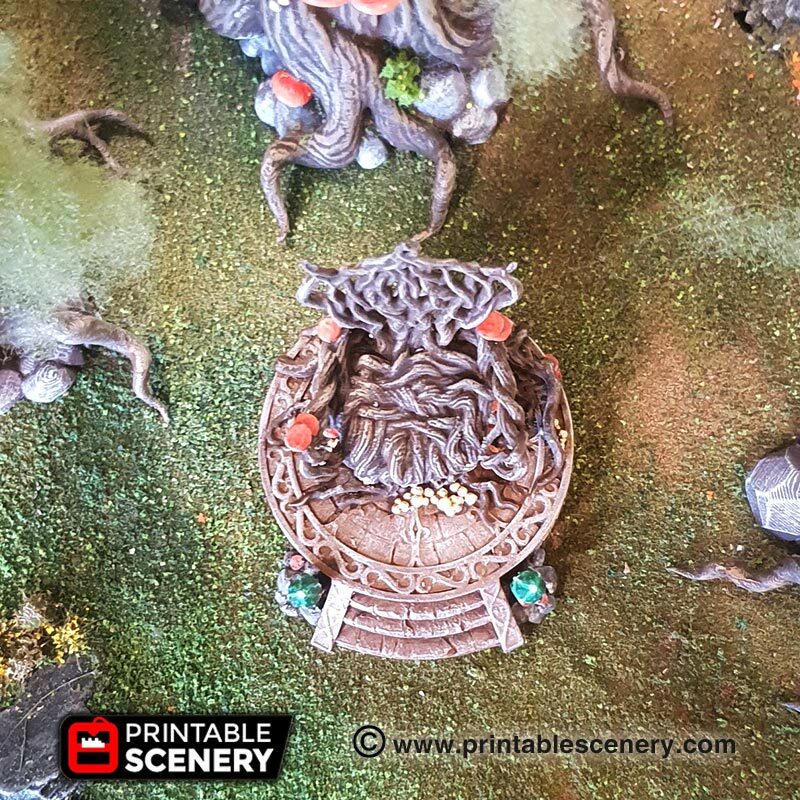 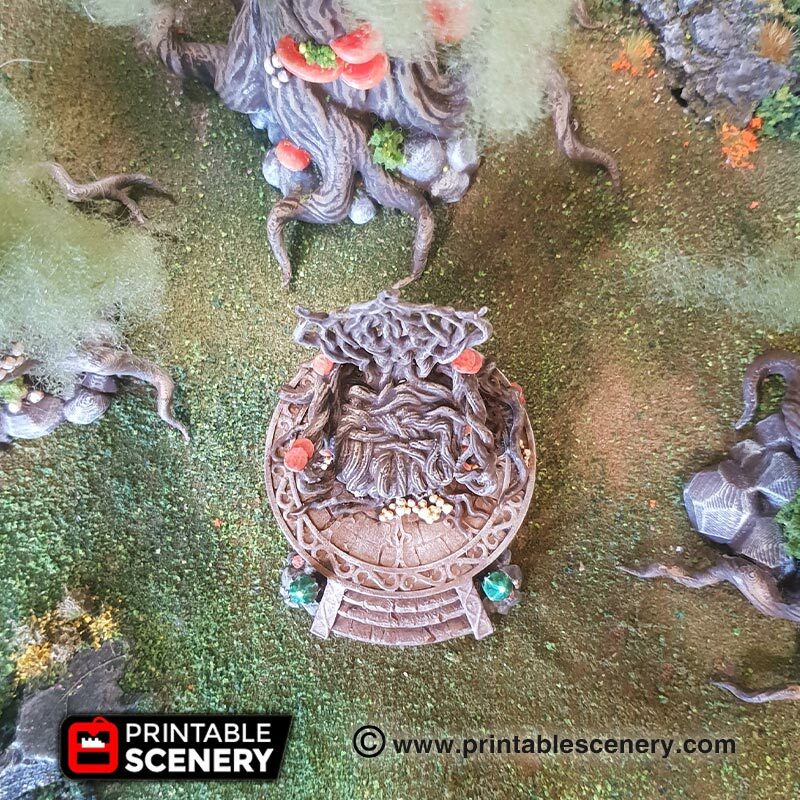 The Living Throne is a fantasy-styled terrain piece that can be used for roleplaying or table-top war games. 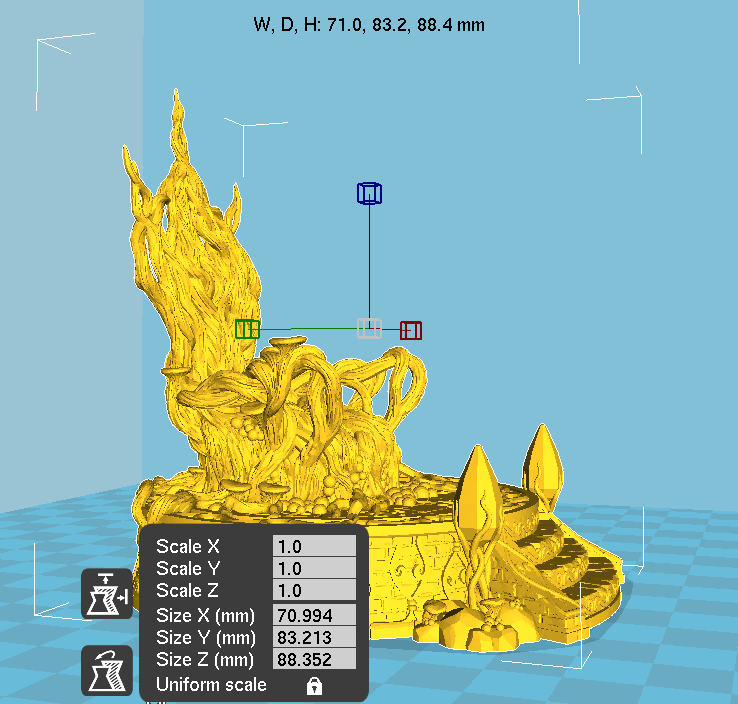 It prints without supports.